In Malawi, while seven Nazarene churches were destroyed, two more are operating as emergency shelters. 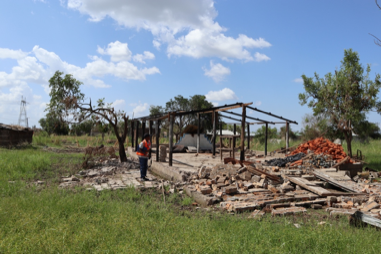 Across five Nazarene districts in Mozambique, 1,809 Nazarene families lost their homes and livelihoods, and 128 church buildings were affected. Of those churches, 39 were completely destroyed. Churches that escaped damage are providing food to those with need. The church in Zimbabwe is undergoing assessments in order to develop a coordinated response to the challenges in that country. In Mozambique, 38 children who attend Nazarene child development centers and 16 children of pastors were impacted by Idai. Two of the child development centers lost roofs in the storm. Thankfully, we know that all these children impacted are safe along with their families, but it will be some time before life returns to normal and they are able to recover emotionally. Sheltering the homeless and feeding the hungry are just the beginning stages of a long-term compassionate response that will be needed in the weeks and months to come. The church in affected regions will continue to build on this foundation as they care for those in need. Nearly 3 million people were impacted by Cyclone Idai across the Mozambique, Zimbabwe, and Malawi, and the humanitarian crisis continues to unfold. Hundreds of thousands of people required rescue, and close to 1,000 deaths have been recorded in the weeks following the storm’s landfall. Hundreds of people are still missing. Thousands have lost their homes and are living in cramped shelters. 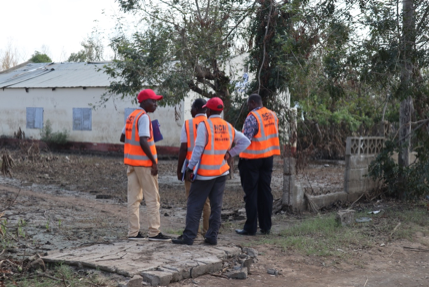 Due to lack of infrastructure and close-quarter living, and cholera is beginning to spread rapidly, with over 1000 infected so far. 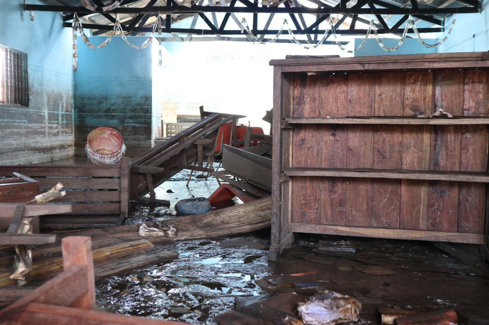 Tropical Cyclone Idai made landfall on March 15 in Mozambique, leaving a trail of destruction that spread to neighboring Malawi and Zimbabwe, impacting millions of people. UN officials have said that this is likely the worst weather-related disaster ever to hit the southern hemisphere. The port city of Beira in Mozambique has been particularly hard hit, with complete power loss and the city surrounded and cut off by flood waters. Over 750 people have died, with many more still missing across the three countries. Over 400,000 people are estimated to now be homeless. Vast areas of land remain flooded as relief workers race against the clock to provide aid and rescue. 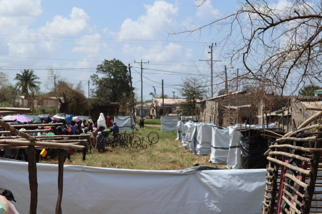 Disease is a grave threat as standing water abounds and crowded conditions in emergency camps prevent effective hygiene. The impact of the cyclone will be felt for months or even years to come, as many farmers living in the affected areas have lost their source of income due to the floodwaters. Please pray for those facing the devastation left by Cyclone Idai and the ensuing floods. Pray for the children who can’t attend school, including those who attend impacted Nazarene child development centers. Pray for those who have lost loved ones and homes. Pray for those who are at risk to infection to diseases. Pray for the swift delivery of the supplies and care they need, and pray for the months of recovery ahead. Pray for our local leaders and church members in Malawi, Zimbabwe, and Mozambique who are responding to the needs around them. To send a prayer or note of encouragement, go to ncm.org/pray.